Flat with hardly any obstacles. Clay and silt (about 30-40 cm). Swims 2 until 8 are accessible on foot. Swims 10, 11 and 12 have also access by car. 2900€ for max. 8 Anglers! "As expected great hosts, nothing too much trouble. Very hot weather which affected the fishing, fewer fish caught than anticipated, Huge hail storm mid week didn’t help. Facilities could do with some refurbishment but acceptable." "Wie in jedem Jahr war es einfach super !!! Viele Fische, tolle Landschaft, entspannende Ruhe und großartige Gastgeber. Ankommen, wohl fühlen !" 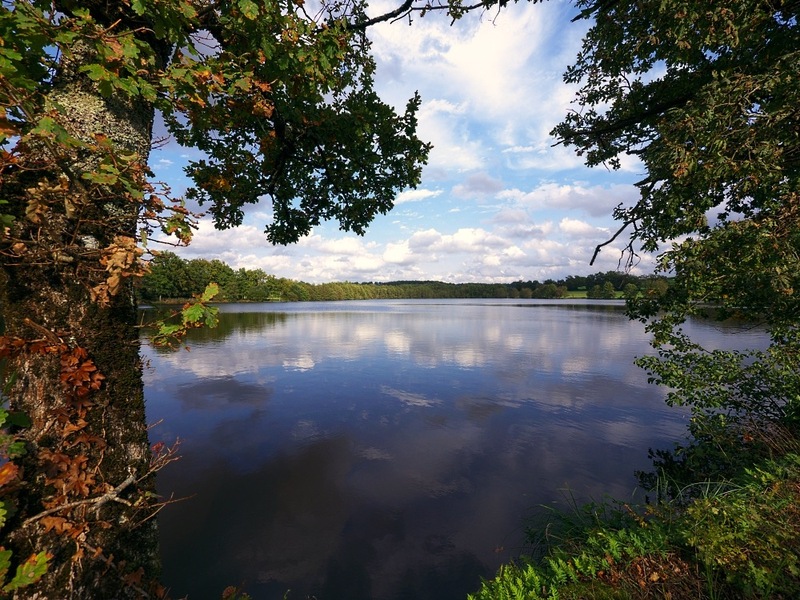 Dating back to 1792, this lake is governed by Napoleonic law, hence no need for a rod licence and night fishing is allowed. 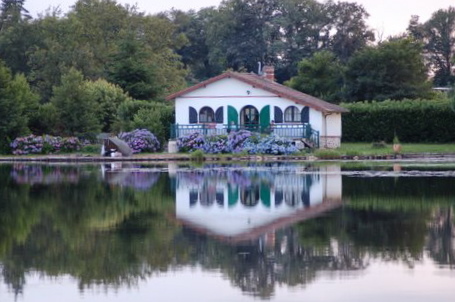 It was previously owned by a succession of French families, the last of which maintained the lake very well despite the fact that they had no intention of managing it as a commercial fishery. It was, however, fished on a small scale through the summer months by holiday makers staying in the chalet. Enjoying fish farm status due to its age, it did provide an income also during the tri-annual draining when stocks of the younger, smaller fish were sold to locals as a valued food source, and to restock smaller private lakes. With its excellent water quality, the rate of reproduction is high and the lake remains a valuable source of small roach, pike, sander and, of course, carp. In the Limousin area poisson chat are an inherent problem and draining down in this way every 2-3 years helps control the numbers of these nuisance fish. Fortunately, the draining facilities in the lake are a shining example for all the neighbouring lakes and so easily facilitate the removal of these troublesome fish. 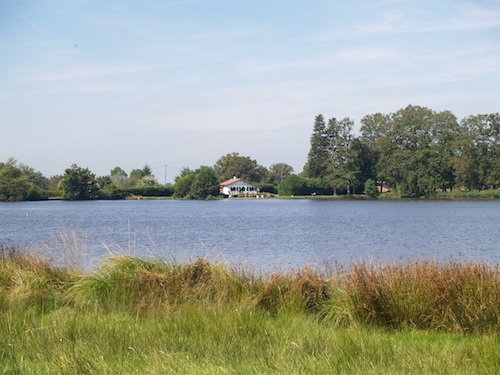 Since the present owners took over in November 2004, much work and money has gone in to turning this lake into a first class carp fishing venue. 12 swims, including some doubles, have been created to enable fishermen to access all areas around the lake. They have been kept as natural as possible, no wooden pontoons here, so that you can enjoy the rugged beauty of the countryside and really get close to nature. 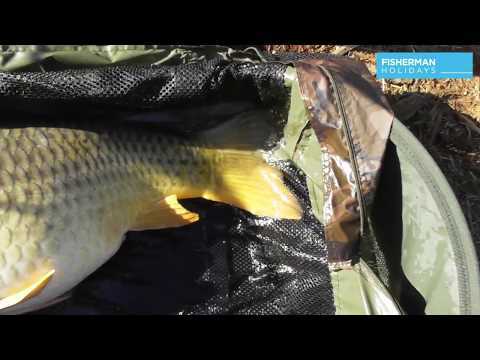 After a lot of research, suitable fish stocks were found to increase the numbers of medium and large carp in the lake and the lake is now ready. For those of you who select the drive and survive option, a brand new shower block has been installed in a large building opposite the lake, with English toilets.This building also houses a large freezer for all your baits. It is possible to order food cooked fresh and brought to you in your bivvy. A simple menu offers breakfast, lunch and evening meal at reasonable prices e.g. home made lasagne and salad for 7 euro. In case you run out of or break something, there is a fishing shop on site, selling top of the range equipment e.g. Fox, Nash, JRC; All your bait requirements e.g. boilies from Nash, Mainline, Fun Fishing, Mistral, and pellets all at very competitive prices; We work in conjunction with a large tackle shop so if we do not have it in stock it can be brought in for you usually for the next day (subject to availability). Second hand equipment is also on sale. 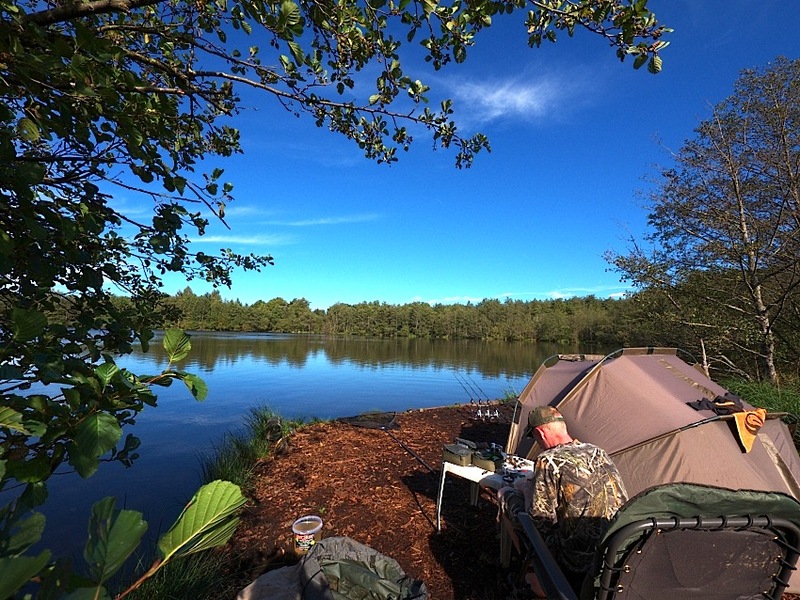 A social evening will be held on a Wednesday evening in the form of a lakeside BBQ, a chance to bring your rods in for a few hours and enjoy an evening of good food, fine wines and beers, and of course good company. We have now a cabin on swim 11 that we will rent for 150 euro per week including 2 bedchairs, unhooking mat and landing net. 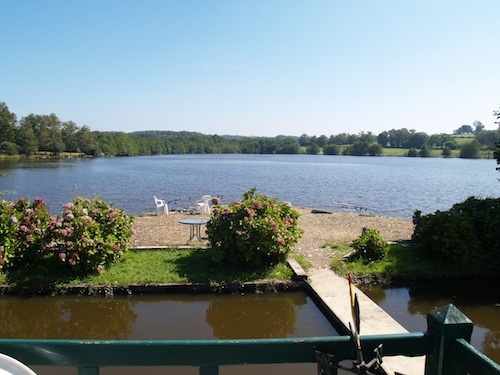 For those anglers wishing to bring the family there is a superb, fully furnished, 2 bedroom holiday home less than 10 metres from the banks of the lake, and fishing is easily accessible within the private grounds. 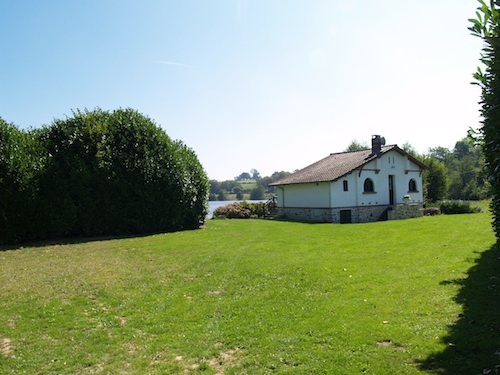 It boasts a fully fitted kitchen with dishwasher, washing machine, microwave, satellite TV, so you won't have to miss those important games in the World Cup, shower room, and terrace with spectacular views across the lake. You can also book a double room for 55€/night, including breakfast. If you would prefer not to travel with your own equipment for reasons such as flying out or not enough room for everything in the car we can supply a full range of good quality equipment from just a couple of rods to the works, i.e. rods, rod pod, bivvy, chairs and bed chairs, brollies etc. We do not supply bite alarms, terminal tackle. 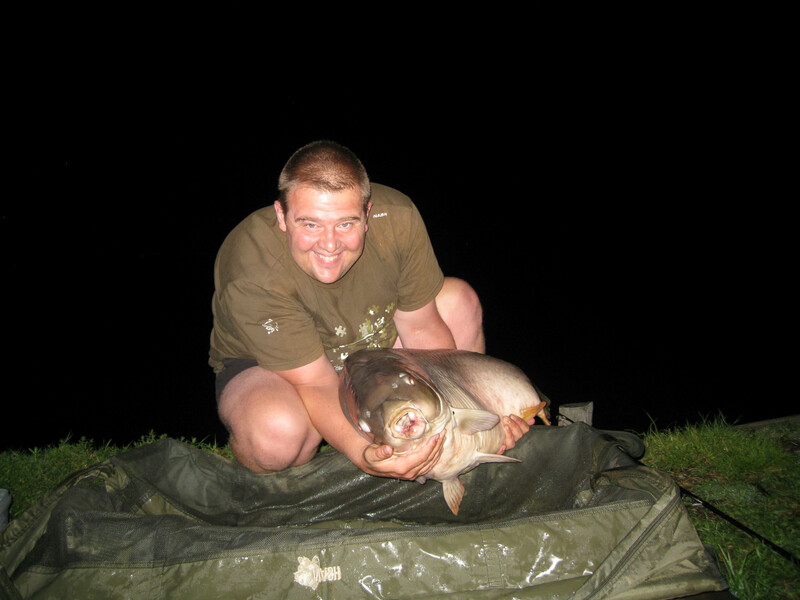 We would require a refundable deposit for the tackle plus it would be rented out on a weekly basis. This could also be calculated on a daily basis for those wishing to stay for an extended break. Then all you would need to bring would be your reels and terminal tackle. This of course would be subject to availability and must be booked when you book your holiday. - Double Room: 55€/night, including breakfast. no dogs allowed in swims 2 to 8 because of the sheep!! 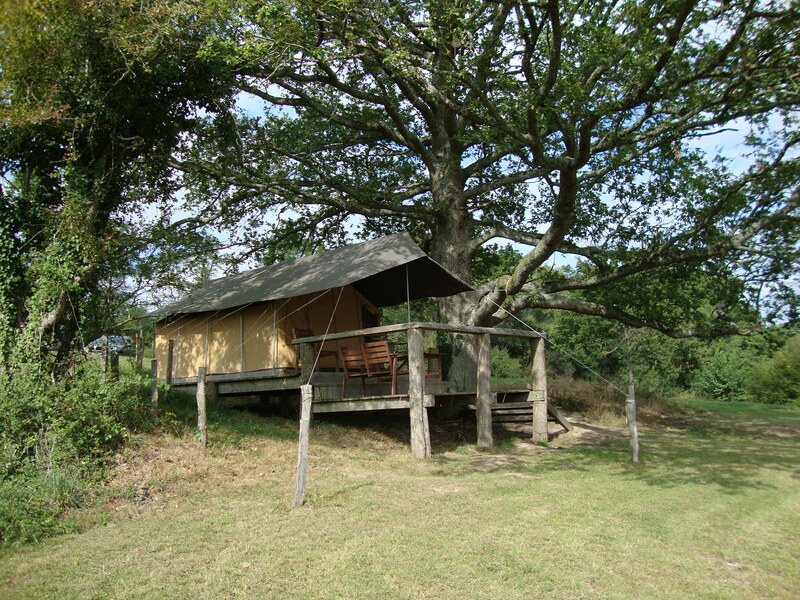 Book this holiday home choosing swim 12 on the planning! 150€ deposit will be asked upon arrival. Checkout of the holiday home will be 10.00 AM at the latest. - It goes without saying we operate a NO-KILL policy and all fish must be returned to the water in the best conditions without delay. - Keep nets are prohibited, for those anglers fishing on their own we are available throughout the day and night to take photos if you have any difficulties. - Anglers are encouraged to enter the water to unhook/photo fish as it is safer for the fish in case of a fall. - No braid or lead core. - No fishing directly into the lilies. Only deepfreeze or home-made boillies are allowed, no ready mades. - Safety of the fish is of paramount importance, only rigs that reflect this will be tolerated. We have the right to inspect rods daily and make changes where necessary. - Bait boats permitted, respect for neighboring fishermen must be exercised at all times. - Only green or camouflage tents are allowed. - Entry into water for casting is permitted only to the height of knee length boots. - We expect all anglers to carry antiseptic, on sale in the shop for those who are without. - Anyone leaving rods unsupervised or behaving unreasonably will be asked to leave immediately with no refund. - All gates to the lake must be kept closed at all times. - Vehicles are not authorized around the lake so all vehicles must be parked in the specified parking areas. - You must respect the environment, flora and fauna at all times. - All rubbish to be put in bags and placed in the dustbins provided. Cigarette ends are not to be thrown on the ground or in the lake. A fine will be levied if you are found to do so. 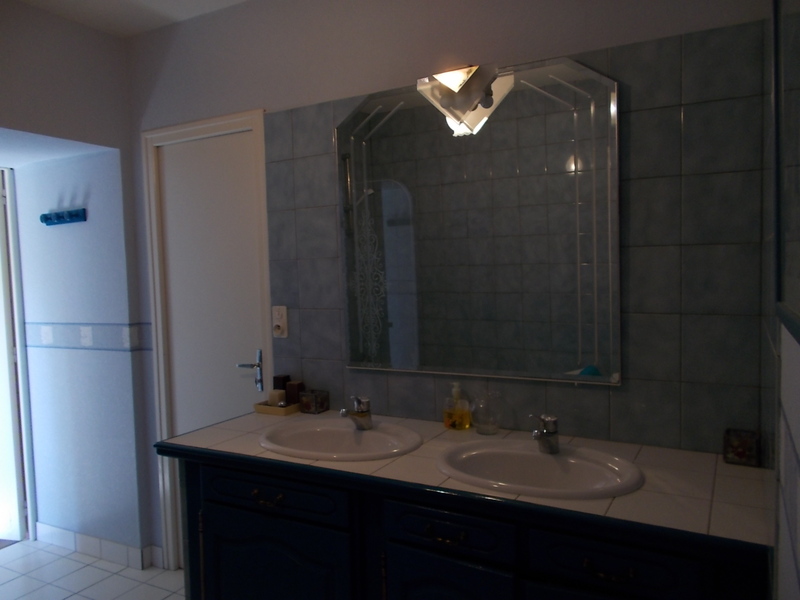 - Toilets and showers are to be left in a clean condition, as you would hope to find them. - 1 non-fishing guest per angler (except minors). - Dogs are permitted on 1 bank with prior authorization by the proprietors. - The proprietors are not responsible for any personal accidents, theft or loss of equipment occurring on the property at any time. -Fish abouve 50LB or 23 kg will be photographed in the water, please bring waders to fascilitate this.